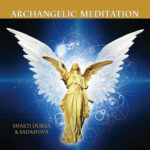 Shakti Durga | Spiritual Teacher & Master Healer / Where do I begin? Online: Connect with Shakti Durga via Facebook, YouTube, Instagram or via online classes. You can find a list of all the online classes offered by Shakti Durga and her senior teachers in the What’s On Calendar of the Shanti Mission website (the charity she founded). In person: Meet her at satsangs, musical meditations, sacred music chant nights – fun community gatherings, or her public seminars and workshops. You can find a list of her life-changing events and retreats on her event calendar on this site. Through the charity she founded, Shanti Mission, you can find a list of many fabulous personal transformation seminars, most offered by donation. Simply create an account on the website and register to attend.